The holidays are here, which means family gatherings, nights out, and tons of holiday activities filling up the calendar. Amidst the chaos, it is hard to keep up with healthy eating, and you might find yourself slipping on your balanced diet. While you are going from one place to another and handling holiday events throughout the week, you can continue eating healthy during the holidays as a family. It just requires a little pre-planning and dedication. Use Cocktail Napkins and Not Plates: While at your next holiday party, avoid the plates at the appetizer counter. Instead, use a small cocktail napkin so that you can only take a snack at a time. It prevents you from overeating before a meal or filling up on high-calorie snacks. 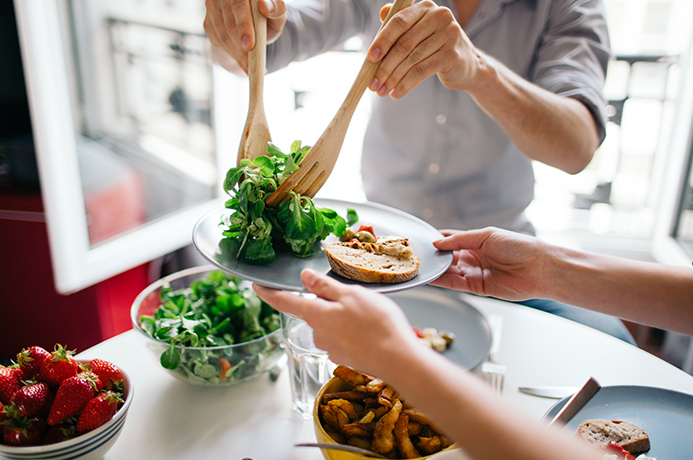 Bring Your Dish: When going to a holiday dinner party, bring along your own healthy dish for the spread. Healthy does not have to be boring. You can bring a delicious roasted root vegetable side dish or a colourful fruit platter. Choose Foods Wisely: When picking your foods, do so carefully. For example, remember proper portions and distribution as you fill your plate at the holiday dinner buffet. Half of your plate should consist of non-starchy vegetables, while one-quarter consists of protein and the other quarter carbohydrates. Doing this ensures you receive your nutrients and keep portions adequate so that you do not fill up on carbs. Do Not Skip Meals: You have holiday shopping to complete, kids’ Christmas activities to attend, and finding time for a meal seems next to impossible. Bring along healthy snacks for you and the rest of the family to hold you over while you are out and about. Fresh cut vegetables and fruits can easily be packaged and taken along. Trail mixes are easy and pack a great protein punch. If you know you will eat a heavy dinner later, do not skip breakfast and lunch to reserve your calories. Skipping meals is unhealthier than keeping your portion small at dinner and still eating three meals that day. Stay hydrated at home and especially when shopping. Carry a water bottle with you at all times so you can keep sipping water all day. Often when you are feeling hungry it is actually a signal that you are thirsty. Drinking a large glass of water will fill your stomach and stave of the hunger pangs until you can eat a healthy meal instead of grabbing the sweet sugary stuff. 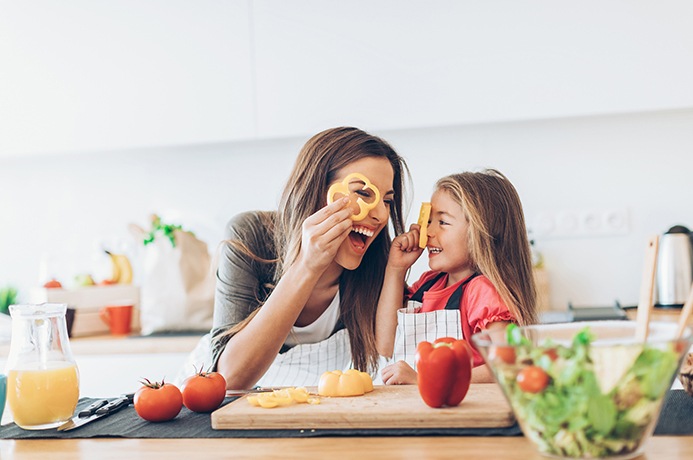 If you want to learn more about how to promote healthier eating in your family, design well-balanced meals every day, or even lose weight, taking courses from the Edison Institute of Nutrition is the perfect place to start. Make it your New Year’s resolution to join us and take a course in nutrition, diet, or even digestion. To inquire about our healthy eating programs, call the Edison Institute of Nutrition at 800-456-9313 or Contact us online with your questions.